Are you looking for a thrill? Something different than the same old activities? 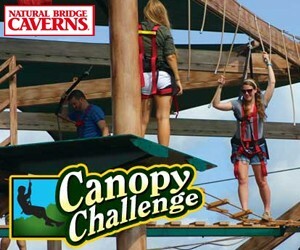 Check out the Canopy Challenge zip line adventure course in San Antonio. 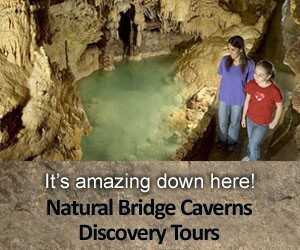 It’s part of the Natural Bridge Caverns theme park. The prices start at $4.99 for Canopy Kids a play area for small children. Chidren must be under For $17.99 the bigger guys can do the zip line, and for $27.99 you can do multiple zip lines. They also have ropes course type obstacles for you to navigate as you climb a 60′ tower to your zipline. All participants must fit securely in the harnesses provided. All participants must be at least 48 inches in height or be chaperoned by another responsible member of your party. A chaperone can be another adult or an older sibling provided they are 17 years of age or older and are able to assist the shorter participant through the course and up to the zip lines. Children who have a waist of 14 inches or less will not fit into the safety harness, and cannot participate. Minimum weight is 60 pounds. 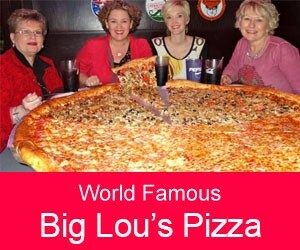 Maximum weight is 300 pounds. No flip flops or open-heeled sandals are permitted. Total time on the course is limited to 30 minutes. They have family and group packages available. Call for more details. Active, Active / Exercise, Adventures, Categories, Date Ideas, Family Friendly, Outdoors, Outdoors, Unique, Unique, Unique, Unique Date Ideas. Man, this place is serious fun! But you need to be careful or you will get air-sick up there! The more difficult and adult courses are hard to navigate. But man, it’s so much fun!